Stay in our apartment n.2 for 2 people for only 45,00 euros per day. An additional of only 5,00 Euros per child per day! Stay in our apartment n.1 for 4 people for only 80,00 euros per day! Experience fun and relaxation in the Dolomites area. Snow-white slopes, bright blue sky, pure nature. 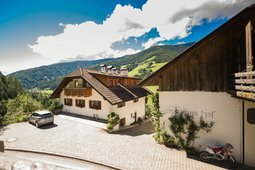 Experience South Tyrol with the free premium card with free travel on public transport. 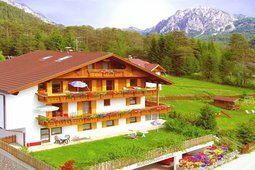 Would you like to spend the most beautiful time of the year in an absolutely quite location surrounded by forests and meadows with a wonderful panoramic view to the Alps? Would you like to recover from everyday life? Then you are here in the right place on the Kehrerhof in South Tyrol / Italy. 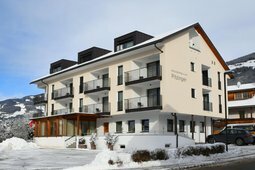 Take a reinvigorating break and enjoy a lovely stay in one of our apartments immersed in the nature, with panoramic view of the Kronplatz and the other peaks of the surroundings! Spring experience, with all its magnificence! Enjoy more inclusive services. 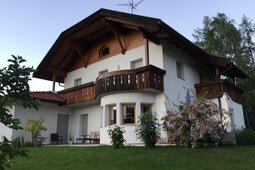 We welcome you cordially in our rebuilt and enlarged apartment house "Pitzinger" with a fantastic view over the Kronplatz and the Dolomites. And we have a special gift: 1 day free! We offer our apartment 35 qm for 2 people in Reischach. Secure your space over the festive holidays Ascension of Jesus, Whitsun and Corpus Christi! We offer our apartment for 4 persons. 2 persons final cleaning included. The Dolomites Bike-Weeks are the perfect offer for all cycling enthusiasts who look for adventure, variety and amazing landscapes: the fabulous mountains of the Dolomites are a real paradise for cyclists. 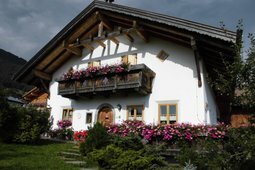 Colors and flowers of Spring in the Dolomites: Apartments for 2 persons and for 3-5 persons. For a stay of 1 week 1 day apartemtn free. The landscapes are full of blossoming trees and flowering meadows. This is the best period of the year to admire the awakening of spring in all its splendor. Fresh air and a good relaxation, what everyone deserves. 10 for 8, two nights for free! Enjoy festive Whitsun holidays to convenient conditions. Based on the above date, for a stay from 10 nights you will receive two nights for free. 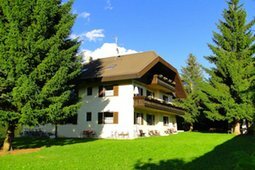 This offer is also combinable with the Dolomiti Pustertal Family Special. "Fuggi & Tocca" - dolomythical short stay "4x3"
A short break. Escape from everyday life. "Touch" - the nature. Feel special. Unique! And than back - home. Simply happy. Percieve. Breath - the Dolomites. Drink - Aqua Bad Cortina from our spring. Walk and live - through woods and meadows. Getting to know. Resurge - under the sky. The winding pass roads and a unique alpine landscape, make the heart of every biker beat very fast. Book now your special motorbike holiday, for a lot of fun and always different routes, at the discovery of the Dolomites on two wheels.